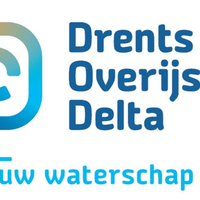 On the 10th of May De Ondergrondse is organizing an excursion to the Rijnlandroute. This is a bored tunnel in the neighbourhood of Leiden. They finished the launch shaft and installing the TBM right at the moment we visiting them. After this we have a surprise activity. In the end we will have a dinner at Pavarotti close to Delft station. The whole day will cost you only 5 euro’s! The coupled process class will be rescheduled for you. The bus leaves at 09:00 at the entrance of the Civil Engineering faculty.